At eEuroparts.com, we are your go-to source for the highest quality and widest selection of automotive parts. The many parts you will find among our inventory include Volvo XC60 parts. 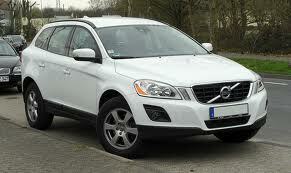 The model year 2012 XC60 from Volvo takes a step away from previous models in that it features a true crossover design. As a result, this vehicle is geared toward young, professional city dwellers who are looking to enjoy an active urban lifestyle. Categorized as a small premium utility vehicle, the XC60 from Volvo features a bold but sporty design. Integrated roof rails are among the many features that consumer are able to enjoy with the XC60. As is the case with other vehicles from Volvo, the XC60 also boasts a number of safety features. Among those features is the Driver Alert Control. This distinctive technology is designed to detect and then alert drivers who may be tired or distracted. The XC60 also features a Blind Spot Information System, also known as BLIS. This system works to detect vehicles that may be situated in a driver's blind spot on either side of the vehicle and then alert drivers. Consumers can also benefit from the presence of a Lane Departure Warning system that will alert drivers in the event the vehicle makes its way across the lane markers with a turn indicator being used. No matter what type of XC60 parts you may be seeking, you can find what you need as part of our far-reaching inventory at eEuroparts.com.